Instruction begins when you, the teacher, learn from the learner; put yourself in his place so that you may understand...what he learns and the way he understands it. You cannot plan to improve the outcomes for pupils with ASD unless you have considered which approach you wish to use and have agreed a school-wide philosophy and curriculum. The next few screens explore the REACh approach, which has moved away from the more traditional models which rely heavily on structure and routine. 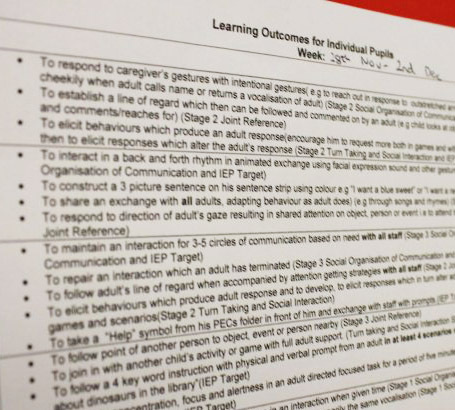 Read this summary of the REACh approach and begin to consider the implications on classroom planning and organisation if you were to adopt this approach in your classroom. Have a look at these two videos. In the first video a senior teacher and an assistant headteacher explain the principles and intended outcomes of the REACh approach. In the second video they explain how rigorous planning is at the heart of the REACh approach. In these videos a senior teacher and an assistant headteacher explain how staff keep pupils engaged through REACh and how pupils' progress towards REACh targets is tracked. Have a look at this lesson plan. One of the children featured in the videos on the previous page is Mark, a seven year old boy diagnosed with an ASD. 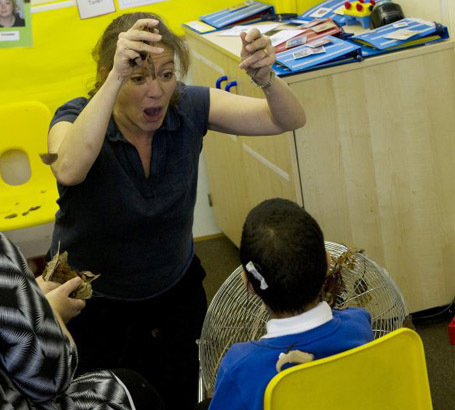 Read this extract from Mark's statement of special educational needs. 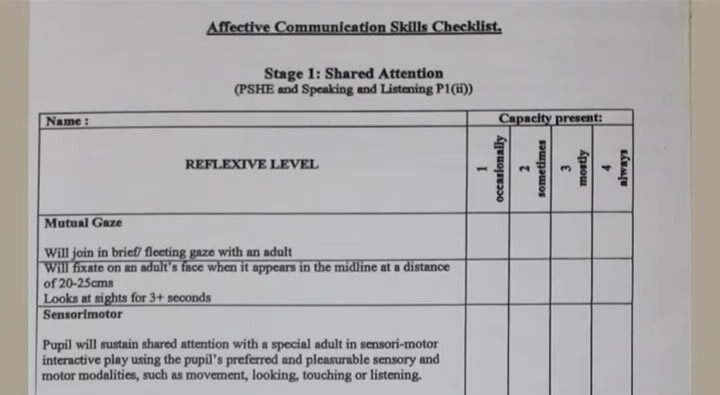 Given that the REACh approach is pupil led, how would the teacher plan to move Mark to the next step? What is the function of topic work within this approach? How do you think the teacher would plan activities to match assessment to medium and daily plans? Think about how the teacher would plan to use other adults to implement this approach, how she would give sufficient guidance to the other adults to ensure they are implementing the approach and how she would use their observations to influence future planning. To enable the pupil to move onto the next step the teacher would need to ensure that the activities available are both motivating and meaningful. The activities would need to actively involve the pupil through use of novelty, surprise or slapstick which this particular pupil responds very well to, in order to achieve engagement. The role of topic work within this approach is to provide a rich and varied range of experiences within which the process based approach can be based. 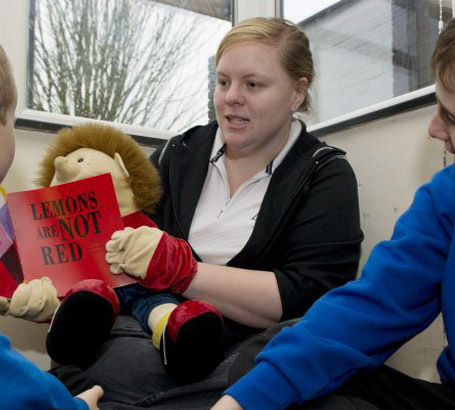 The topics need to capture the interest of the pupils so are designed to be creative, interactive and fun. Examples of topic titles could include 'Dungeons and Dragons', 'Carnival' and 'Celebration'. In order to plan activities to match assessment to both medium and daily plans the teacher needs to be very clear about her long term goals for each pupil. 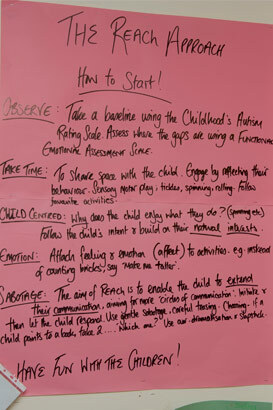 Breaking these down into measureable and achievable steps and selecting appropriate activities to give the pupils the opportunities to make the desired progress will then be explicit in her weekly and daily planning. 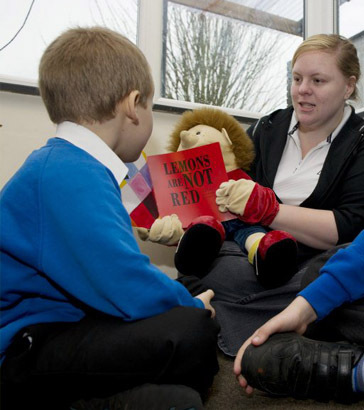 Utilising the other adults within the team is vitally important when the teacher is frequently involved with just one pupil for a percentage of the lesson. In the daily plan for this class the teacher has clear roles for each adult whether as class manager, mover or individual worker. Individual targets for each pupil are clearly displayed as are a range of planned sensori- motor and focused activities which the pupils generally engage with to guide all staff in maximising learning opportunities.